Ask about the World Championship Crystal Dig. it is the second weekend in Oct.! We are getting ready to dig crystals this year. cooler weather is alway great to dig vrs hot humid weather. 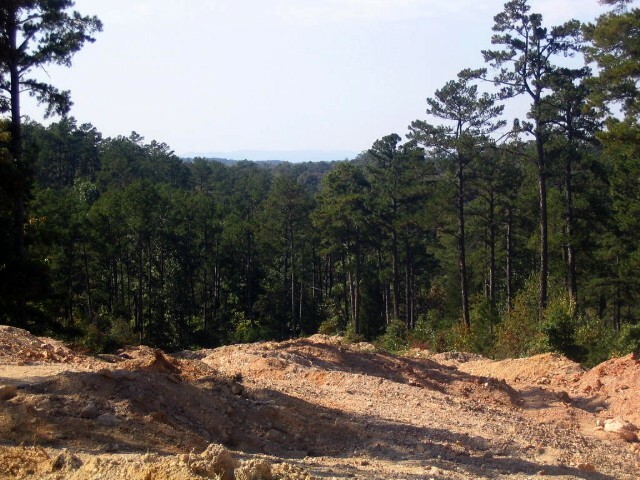 Sweet Surrender Crystal mine is located in the beautiful Ouachita Mountains of Arkansas just north of Mt. Ida. This area and these mountains are known for being the QUARTZ CRYSTAL CAPITAL OF THE WORLD. Here is an opportunity for you to find nice crystals in an operational commercial mining operation. This is a primitive area with no facilities or services (however, we now have a port a potty.). Wear suitable clothing and bring your own tools, containers or bucket, as well as food and drinks. YOU keep all the that you find. Suggested tools for digging: an old screwdriver, hand garden tools, sometimes a rock hammer and there are a few times when you may need the old digging bar. Please call before coming to let us know you are wanting to dig. If we aren't working at the mine digging beautiful crystals, then we are at the house taking care of other responsibilities.. We are always happy to go open the mine. WALK INs are welcome whether you are one or several... thank you..
vary depending on the weather..
normal hours are 9:30 to 4pm or until it get to late and/or hot to dig. We will give you a brief lesson on safety and let you know the places where you can and can't go. After all this is a commercial operational mine. You have to know the do's and don't's of the mine. If you have trouble getting your eye going on finding crystals we will also show you what to look for and answer any and all of your questions. There are two picnic tables for you to rest and/or eat your lunch. Some just use them to sit on and talk to other diggers. Several friendships have been formed at the mine with people trading email address and business cards. We even have a honeymoon couple show up on occasions that still come back to the mine for their anniversary. We do also invite Rock and Mineral Clubs to the mine. If there are several people in the club we will have extra people come to the mine to help. These extra miners are their to help answer questions, and to help carry buckets and/or rocks. Then if you still want more crystal other than what you have found at the mine, we can help there also. We do sell crystals at a wholesale price clean or dirty. (we won't tell anyone if buy them dirty).
" ARE YOU READY TO DIG CRYSTALS? " if you want to schedule one for you and several of your friends.